Why did my 30 minute video get automatically divided in to 6:26 segments each? I shot a 29:59 video with the settings: 1920 / 30 / ALL-I using a SanDisk Extreme Pro 128 GB card with 95 MB/s rated 3 and 10. The camera automatically divided the video into segments no longer that 6:26 each. 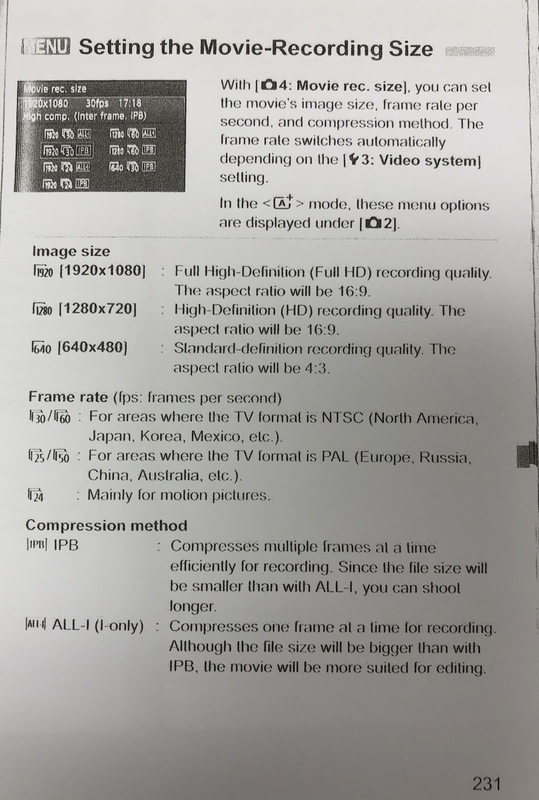 I read page 231-232 of the manual - Setting the Movie-Recording Size - and still can not figure out what I did wrong? Other info that you need to help me trouble-shoot this? Is that where it’s meeting the 4gb max? Below is an exerpt from the above link. "The maximum file size for a video clip on the 5D Mark III is still 4GB, just as it was on the Mark II. The 5D Mark III, however, can shoot as much as 30 minutes (actually 29:59), even though the clip size still can't exceed 4GB. 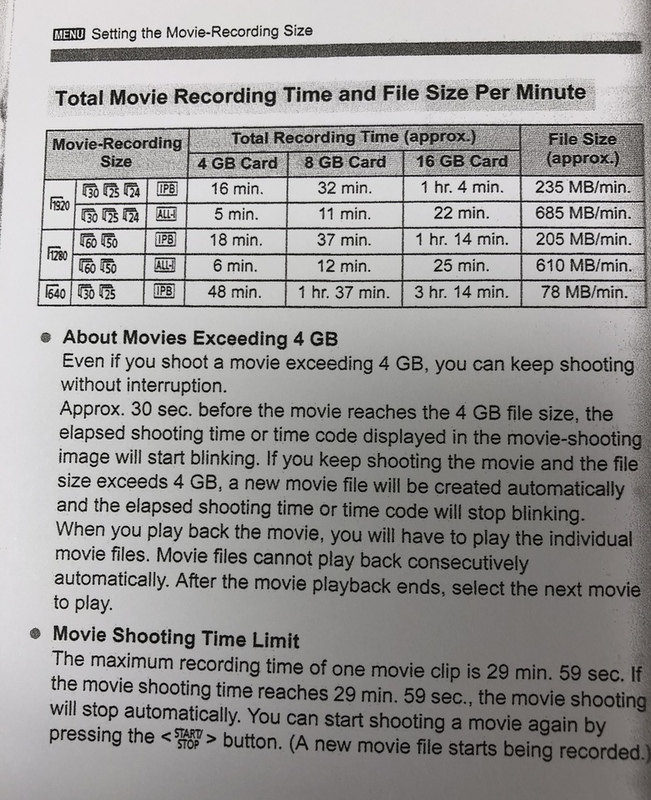 It does this by seamlessly creating several 4GB clips (about 12 minutes), which can be stitched together in post-production. That means that shooting weddings and events with a 5D Mark III is much more possible than it's ever been. To help store that much data, Canon has added an SD card slot, so now if your CompactFlash card fills up, the Mark III will start using the SD card." Look into installing Magic Lantern. I believe that is the work around. Possible answers in one of these threads. Ah! The limit is 4GB. I am a newbie to video editing. I typically just edit the heads and tails with a fade in/out. What does Magic Lantern do and where does it it get installed? Also, for the project that i am working on, I was trying NOT to have to do post production (e.g. not stitch 4 videos together). It's a volunteer project. I was just hoping to shoot 29:59 segments of video; post to YouTube and edit the head a few seconds and be done. This will give a basic rundown. Here is a quick pros and cons. Thank you for the links/video. I anticipate reviewing over the weekend. Still not the 29.59 length that I was hoping for, but at least - with your help @WallsCouldTalk of the links/video - I will know how to edit 4 highest resolution videos together.